and restarted - and the system did check for errors. However, that did not seem to make any difference - system still slow. the Stop Error and explanatory text. Should I run TDSSKiller and tell it to Delete TDSS File system on DR0? I told it to quarantine last time, but made no difference. We're not stuck, are we..? I did what you suggested - set the system to check for disk errors and restarted. System did check of disk errors on start-up, but that made no difference - machine is still slow. Was thinking to run TDSSKiller again and if/when it finds TDSS File System on DR0, I should Delete it. (I quarantined it last time it was found but that made no difference). So, should I do this and Delete it? We're not stuck.. are we? No, we are not stuck. We still have options but we must try first easy steps . Please run TDSSKiller and select Delete option for TDSS File System on DR0. Restart your system after this and let me know results. OK - ran TDSSKiller, and this time found 9 suspicious/skip including TDSS File System on DR0 which I Deleted. I restarted, retested, but no difference - still slow. I've pasted the log next..
Just to confirm... Your system is slow even if you are in Safe Mode? Yes.. even in Safe Mode the machine is slow. Cleaning up corrupt content index metadata on e:\system volume information\catalog.wci. Index will be automatically restored by refiltering all documents. Content index on e:\system volume information\catalog.wci is corrupt. Please shutdown and restart the Indexing Service (cisvc). Hanging application notepad.exe, version 5.1.2600.5512, hang module hungapp, version 0.0.0.0, hang address 0x00000000. Hanging application cdextract.exe, version 0.0.0.0, hang module hungapp, version 0.0.0.0, hang address 0x00000000. A content scan could not be completed on Side01. Hanging application freerip3.exe, version 3.0.9.1, hang module hungapp, version 0.0.0.0, hang address 0x00000000. Hanging application uTorrent.exe, version 3.1.2.26729, hang module hungapp, version 0.0.0.0, hang address 0x00000000. The Windows Security Center Service has started. The AntiVir service has been started successfully! Windows unloaded user GENERALSPECIFIX\Nick registry when it received a notification that no other applications or services were using the profile. Checking file system on C: The type of the file system is NTFS. A disk check has been scheduled. Windows will now check the disk. Cleaning up minor inconsistencies on the drive. Cleaning up 184 unused index entries from index $SII of file 0x9. Cleaning up 184 unused index entries from index $SDH of file 0x9. Cleaning up 184 unused security descriptors. CHKDSK is verifying Usn Journal... Usn Journal verification completed. 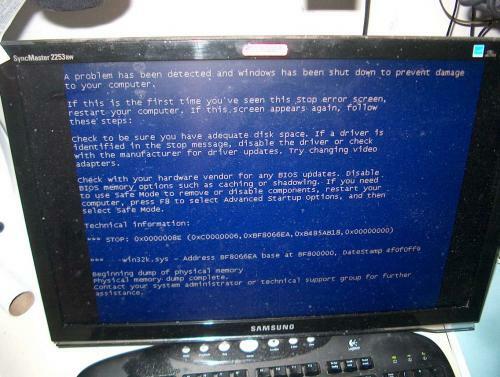 CHKDSK is verifying file data (stage 4 of 5)... File data verification completed. CHKDSK is verifying free space (stage 5 of 5)... Free space verification is complete. 40957685 KB total disk space. 17845972 KB in 49110 files. 16552 KB in 6274 indexes. 0 KB in bad sectors. 133377 KB in use by the system. 65536 KB occupied by the log file. 22961784 KB available on disk. 4096 bytes in each allocation unit. 10239421 total allocation units on disk. 5740446 allocation units available on disk. Internal Info: 20 da 00 00 64 d8 00 00 fa 26 01 00 00 00 00 00 ...d....&...... be 00 00 00 02 00 00 00 98 06 00 00 00 00 00 00 ................ 10 8b 90 01 00 00 00 00 66 f2 d6 25 00 00 00 00 ........f..%.... 26 42 bd 07 00 00 00 00 76 2a 5c f2 01 00 00 00 &B......v*\..... c4 ae 17 79 01 00 00 00 78 03 3e a2 03 00 00 00 ...y....x.>..... 99 9e 36 00 00 00 00 00 e8 3e 07 00 d6 bf 00 00 ..6......>...... 00 00 00 00 00 50 3b 41 04 00 00 00 82 18 00 00 .....P;A........ Windows has finished checking your disk. Please wait while your computer restarts. The event description cannot be found. Product: Java Auto Updater -- Installation operation completed successfully. Product: Java 6 Update 31 -- Installation operation completed successfully. Product: Creo Elements/Direct Modeling Express 4.0 -- Installation operation completed successfully. Windows saved user GENERALSPECIFIX\Nick registry while an application or service was still using the registry during log off. The memory used by the user's registry has not been freed. The registry will be unloaded when it is no longer in use. This is often caused by services running as a user account, try configuring the services to run in either the LocalService or NetworkService account. The MagicTuneEngine service terminated unexpectedly. It has done this 1 time(s). The time provider NtpClient is configured to acquire time from one or more time sources, however none of the sources are currently accessible. No attempt to contact a source will be made for 14 minutes. NtpClient has no source of accurate time. The time provider NtpClient is configured to acquire time from one or more time sources, however none of the sources are currently accessible. No attempt to contact a source will be made for 120 minutes. NtpClient has no source of accurate time. The time provider NtpClient is configured to acquire time from one or more time sources, however none of the sources are currently accessible. No attempt to contact a source will be made for 60 minutes. NtpClient has no source of accurate time. The time provider NtpClient is configured to acquire time from one or more time sources, however none of the sources are currently accessible. No attempt to contact a source will be made for 30 minutes. NtpClient has no source of accurate time. The ForceWare Intelligent Application Manager (IAM) service hung on starting. The IPSEC Services service depends on the IPSEC driver service which failed to start because of the following error: A device attached to the system is not functioning. The Forceware Web Interface service depends on the AFD service which failed to start because of the following error: A device attached to the system is not functioning. The user [email protected] successfully established a connection to teksavvy using the device PPPoE5-0. The IMAPI CD-Burning COM Service service entered the stopped state. The Application Layer Gateway Service service entered the running state. The Application Layer Gateway Service service was successfully sent a start control. The SSDP Discovery Service service entered the running state. The Remote Access Connection Manager service entered the running state. The SSDP Discovery Service service was successfully sent a start control. The IMAPI CD-Burning COM Service service entered the running state. The Network Location Awareness (NLA) service entered the running state. The MagicTune service was successfully sent a start control. The Network Location Awareness (NLA) service was successfully sent a start control. The IMAPI CD-Burning COM Service service was successfully sent a start control. The Background Intelligent Transfer Service service entered the running state. The Background Intelligent Transfer Service service was successfully sent a start control. The Remote Access Connection Manager service was successfully sent a start control. The Telephony service entered the running state. The Fast User Switching Compatibility service entered the running state. The Fast User Switching Compatibility service was successfully sent a start control. The Terminal Services service entered the running state. Your computer has automatically configured the IP address for the Network Card with network address 0017314A2D27. The IP address being used is 169.254.87.86. 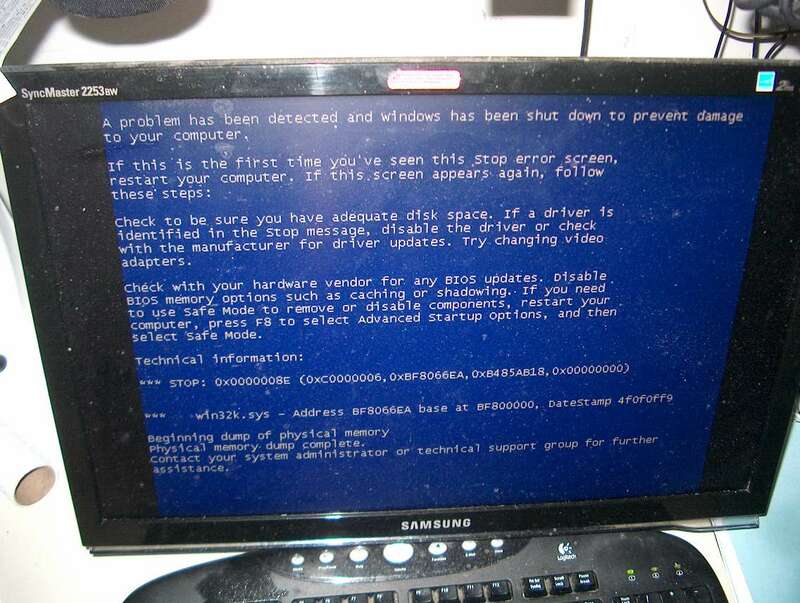 An error was detected on device \Device\Harddisk2\D during a paging operation. The time service has not been able to synchronize the system time for 49152 seconds because none of the time providers has been able to provide a usable time stamp. The system clock is unsynchronized. For now I don't see any trace of malware left. Let's do deeper scan and see if we can get anything out of it. OK. Before we continue, what are your current problems beside slow system. Any visible problem? as soon as I GetMail, or close and re-launch. Strange..
to make the game unplayable). Forgot to mention that, after the long-winded system scan Kaspersky Virus Removal operation, when I restarted I got a Stop Error when I launched my PPPOE dialer. I restarted again and this time I waited until all that background startup stuff seemed to be completed before launched my PPPOE dialer.. this time it worked. But now, many hours later, with nothing going on, and I'm away from the machine, I come back to see the same Stop Error with identical text, including addresses. I have copies if you're interested. This is strange because there is nothing to remove from your system. Let's try to scan system fro errors. We are going to run System File Checker, to make sure all of your protected files are not corrupt.&nbsp;&nbsp;The scan will automatically replace any corrupt files that it finds. At the prompt type sfc /scannow Please note that there is a single space between sfc and /scannow. Typing this will start the program, and a box should appear telling you how much longer the process should take. "Uncheck" Hide protected operating system files. Then rerun the scan.&nbsp;&nbsp;If this still asks you to put in your windows XP CD, and you do not have the CD (If you bought it preinstalled) post back for more tips, otherwise enter Windows CD. Check your Windows Updates!&nbsp;&nbsp;After using the File Protection Service, you might need to reapply some updates. Please reboot, and let me know if anything has changed. "Check" Hide protected operating system files. I was away for a day and a half. I ran sfc /scannow, rebooted, tested performance - no change. I applied Windows updates, rebooted, tested performance - no change. I like to leave hidden files unhidden - any problem with that? Would it be worthwhile to apply SP3 again? Just now, while I was away from the machine, it crashed with another Stop Error. I didn't take down the details but I'm attaching a picture of the Stop Error window from the previous time it happened. Should I be recording/reporting these details to you as they occur? I don't understand how to reply properly - I keep losing my replies. This message is for the purpose of attaching a photo of a Stop Error window I mentioned. OK.. I've solved how to reply -- use Full Editor (which includes attachments).